I've recently read the Doctor Who graphic novel, The Only Good Dalek which was my first graphic novel and it looks beautiful but doesn't take long to read! You can sample the first few pages at the publisher's website. The story is written by Justin Richards and the illustrator is Mike Collins. 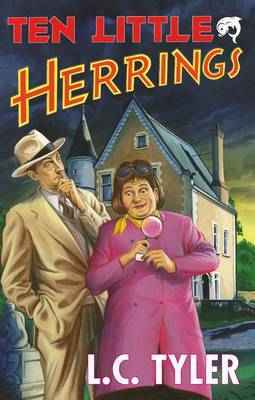 and earlier this week on the blog I reviewed L C Tyler's Ten Little Herrings the second outing for mismatched duo Elsie and Ethelred. As has become traditional, I have now set up two polls relating to the International Dagger. They will close on 20 July 12:00 am. The announcement of the winner of the International Dagger 2011 will be made on 22 July at the Harrogate Crime Writing Festival. Apologies: The Camilleri is of course The Wings of the Sphinx, no idea why I wrote Phoenix! (twice!!) Now the poll has been voted on I cannot correct it. 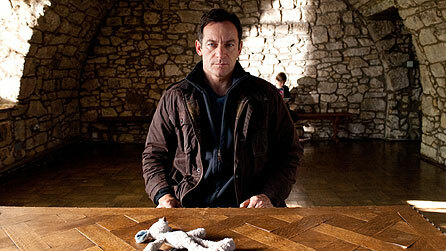 Here's a teeny teaser trailer for the Jackson Brodie series based on Kate Atkinson's books and starring Jason Isaacs. The six-parter series will be showing on BBC One shortly, I don't have the exact date but I'm guessing it'll fill the Sunday evening slot. There is an interview with Jason Isaacs on the BBC website. The second panel of the day (on Thursday) was creating believable sleuths and the panel from left to right are: Paul Johnston, Christopher Wakling, L C Tyler , Anne Zouroudi and Zoe Sharp. Donna over at Big Beat from Badsville has already written this panel up in enviable detail, so I suggest you toddle over and read her report if you haven't done so already. I have shrunk these photos down somewhat so people can view them on phones etc but unfortunately they are a bit fuzzy. Deryn Lake, Dolores Gordon-Smith, Lauren Henderson, Carola Dunn and Frances Brody. Frances Brody's third book in the series will be out in September and her books should be published in the US next year. Deryn Lake's historical novels (as Dinah Lampitt) will be reissued under the Lake name. (I first knew of this author as Dinah Lampitt and devoured her Pour the Dark Wine about the Tudor Seymours which I read in 89 or 90). The Mills of Gold is the first in a new series and there is a new John Rawlings, Death at the Wedding Feast, published in July. Carola Dunn's Anthem for Doomed Youth is the darkest in the Daisy series so far. There was some discussion of what the term cozies/cosies mean eg between people who know each other well. Cozies more of a US term? Usually used as a pejorative term. The murder methods may not be cosy (at one point Deryn Lake rattled off her book titles and the murder methods in them) but the level of detail would be low and no forensics involved. The panelists agreed about enjoying house hunting for their characters. Another thing that identified cosies was that the killer didn't take trophies! Lauren Henderson (whose crime books I wouldn't describe as cosies!) is currently writing YA and bonk-busters (as Rebecca Chance). She commented that her YA (clean) was not selling in the UK as not gloomy enough. Quite a bit of news about The Killing (Danish original) announced today. Firstly it won a BAFTA last night in the International category, holding off Boardwalk Empire, Glee and Mad Men. 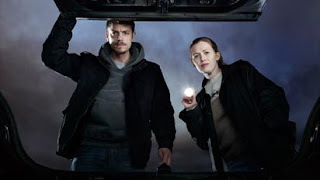 Pan Macmillan has acquired the novelisations to Danish TV series "The Killing", shown on BBC4 in the UK this spring and which triumphed at last night’s Baftas. 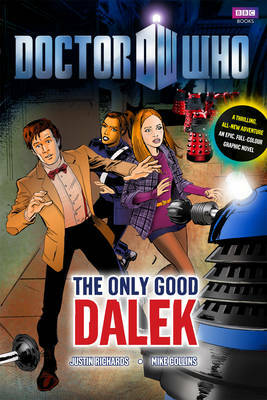 Senior commissioning editor for fiction Trisha Jackson  bought world rights following a "hotly contested auction" for the novelisations of the first two series. 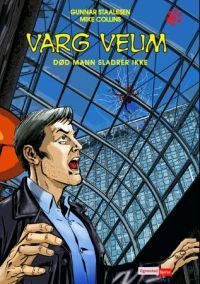 Pan Macmillan plans to publish the novelisation of series one in autumn 2012, with negotiations understood to be underway with a "very well-reviewed and highly respected crime author" to write the novels from [scriptwriter Soren] Sveistrup's scripts. Jackson said: "I knew from watching episode one that this was a book we had to have. The plotting and content are brilliant—revealing, layer by layer, countless red herrings, twists and turns and numerous possible suspects. Sarah Lund is the female detective crime fiction has been waiting for. We see The Killing being a major publishing event across the world." So, over a third of those who voted do not intend to watch the US remake of The Killing which in the UK, is to be shown on Channel 4 later this year. We were lucky enough to have Martin Edwards join our Friend Feeders team (aka the International Bloggers) at the Crime Fest 2011 quiz last Thursday. As well as Martin and myself from the UK the team included Danish blogger Dorte and Australian blogger Kerrie and their husbands (not shown!). Though the questions set by Peter Guttridge were incredibly hard and/or obscure I knew that with Martin involved we had a good chance of repeating the 2010 win and he we did. Kerrie, Dorte, Me with Martin standing-up. The prize was 3 bags of books and audio-books which have found good homes. CrimeFest has now finished and I plan to write some of it up over the next week. The final competition from Random House is for the 4 books by S J Bolton: Sacrifice, Awakening, Blood Harvest and Now You See Me. Enter the competition here (UK & Ireland only and closes midnight 25th May 2011. Random House are running a new competition each day of CrimeFest, which began on Thursday. The third competition is for 3 books by Stella Rimington. Looking at the entry page they appear to be the first three books in the MI5 Agent Liz Carlyle series: At Risk, Secret Asset and Illegal Action. Random House are running a new competition each day of CrimeFest, which began yesterday. 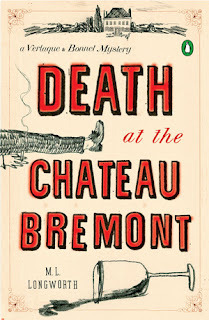 The second competition is for 4 books by Simon Beckett. Looking at the entry page they appear to be the four books in the Dr David Hunter series: The Chemistry of Death, Written in Bone, Whispers of the Dead and The Calling of the Grave. I'll be setting the usual polls up soon. What do you think of the choices? Random House are running a new competition each day of CrimeFest, which begins today. The first competition is for 3 books by Tom Harper. Looking at the entry page they appear to be: The Book of Secrets, The Lost Temple and The Lazarus Vault. The shortlist for the CWA International Dagger will be announced on Friday. I have permission to exclusively reveal that there will be 7 titles shortlisted rather than the usual 6. So can you predict what they will be? Do please leave your selections, from the list below, in the comments box. 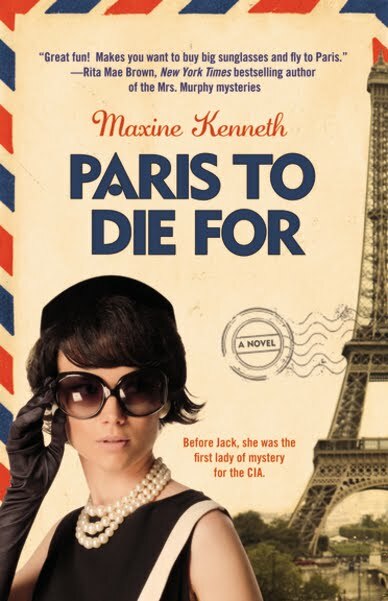 I've added a few more reviews of those titles eligible for the 2011 CWA International Dagger, a topic which I'll be revisiting on the blog before the announcement of the shortlist on Friday, so do check back. and Geoff Jones reviews Howard Marks's Sympathy for the Devil. Euro Crime has 5 copies of Stagestruck by Peter Lovesey to giveaway. To enter the draw, just answer the question and include your details in the form below. This competition is open to UK & Europe residents and will close on 4 June 2011. Due to the the Blogger problems and then work, I wasn't able to post this when it came out so apologies for the "old news". I like to record it on the blog for posterity :). Now in its seventh year, the Theakstons Old Peculier Crime Novel of the Year Award, in partnership with Asda, and this year in association with the Daily Mirror, was created to celebrate the very best in crime writing and is open to British and Irish authors whose novels were published in paperback from 1st January 2010 to 31st May 2011. 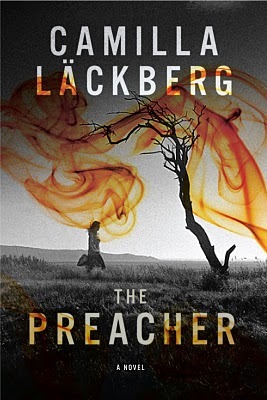 A major accolade in the crime writing field, the Theakstons Old Peculier Crime Novel of the Year Award is unique in that it is the only one of its kind which is largely voted for by the general public. As of today (Friday 13th May), the public will have until Sunday 5th June to vote for their favourite title at www.theakstons.co.uk and the result of this vote will determine the six titles that make it onto the shortlist. The shortlist will be announced on 1st July, and the eventual winner will be decided by a panel of judges including this year's Festival chair Dreda Say Mitchell, the journalist and novelist Henry Sutton, the winner of a Daily Mirror reader competition and Simon Theakston, Executive Director of T&R Theakston Ltd. The news we've all been waiting for (?) - The US remake of The Killing is to be shown on Channel 4 later this year. Channel 4 has secured the UK premiere free-to-air broadcast rights to Series 1 and 2 of Fox Television Studios' version of cult smash The Killing. 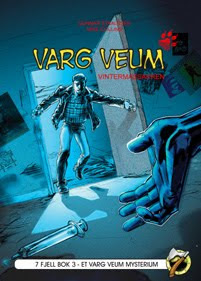 From writer, executive producer and series showrunner Veena Sud (Cold Case), The Killing is based on the wildly successful Danish television series, ‘Forbrydelsen' which centres around the murder of a young girl in Seattle and the subsequent police investigation. 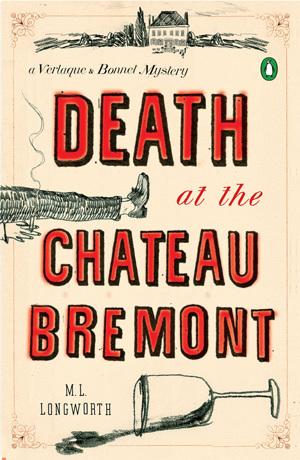 The series ties together three distinct stories around the murder, and as it unfolds it becomes clear that there are no accidents; everyone has a secret, and while the characters think they've moved on, their past isn't done with them. Season 1, which consists of 13 x1 hour episodes, will receive its U.K. premiere on Channel 4 in 2011. Steve Cornish added: "Following the continued success of other Fox series on Channel 4, we are delighted to be partnered with them on this moving and captivating drama." Soaked in atmosphere, the slow burning, crime thriller stars Mireille Enos (Big Love) as Sarah Linden, the lead homicide detective that investigates the death of Rosie Larsen; Billy Campbell (Ghost Town, TV's The Practice) as Darren Richmond, Seattle's City Council President and now running for Mayor; Joel Kinnaman (Snabba Cash, God Save The King) as Stephen Holder, an ex-narc cop who joins the homicide division in the investigation to find Rosie's killer; Michelle Forbes (True Blood) as Rosie's mother, Mitch Larsen; and Brent Sexton (Flightplan, TV's The Mentalist) as Rosie's father, Stan Larsen. I believe there is a different murderer so how likely are you to watch it after watching the Danish version? I've set up a poll on the top-right of the blog. Please cast your vote. I will be very interested to see if the Sarah Linden character is as prominent as Sara Lund. I can't see a US crime series being made with a female solo lead (let alone one in a baggy jumper). I'm expecting the 24-style elements to be played up, and more violence/gore. A lot will also rest on the actors Larsen's mother and father, both of which were absolutely superb in the Danish version. The American version stinks compared to the original. It's also available minutes after its aired via bittorrent. 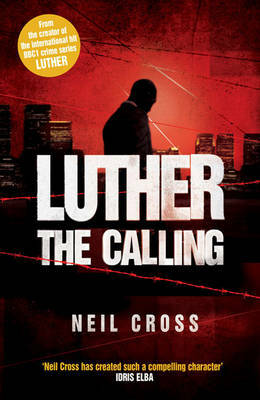 The BBC have released a trailer for the upcoming series 2 of Luther, created by Neil Cross. The first series is available now on DVD and this second series is due to be released on DVD on 27 June. 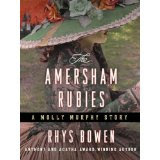 "It is a prequel to all my Molly books and gives readers a glimpse of her at home in Ireland before she came to America. It's called The Amersham Rubies. So if you have a Kindle please download it. If you know someone who hasn't tried the Molly books yet, suggest that they have a free introduction to Molly. And if you like what you read, please post a review on Amazon." The Molly Murphy series is now up to ten. You can read reviews of many of Rhys's books over on the Euro Crime website. I always recommend her Evan Evans series to fans of M C Beaton's Hamish MacBeth series and I bought a second copy of the first book Evans Above to add to my library's collection, where it's doing brisk business. Fortunately it looks like Allison & Busby are reprinting the series in 2012 and I'll be able to catch up with some of the later titles. Brian McGilloway's The Stolen Child can be downloaded for free from amazon.co.uk or as an epub from Kobo. I don't know if it available outside the UK. "An exclusive free edition of Brian McGilloway's acclaimed short crime-story, featuring Garda Inspector Benedict Devlin. Includes the opening chapters of McGilloway's dazzling new novel, Little Girl Lost ('Truly chilling' Ann Cleeves)." There are currently four books in the Ben Devlin series and these together with Little Girl Lost are reviewed here. 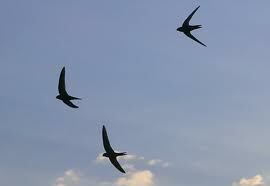 It seems you can set your calendar by the swifts. For the third year in a row, my first sighting of them has been on 10 May. No sign of them on Sunday or Monday but first thing this morning on my cycle to the station, 3 of the beauties racing about. Hakan Nesser's Woman with Birthmark is being serialised on Radio 4 Extra and is read by Michael Maloney. The first of 5 parts was aired on Saturday but you can listen again on BBC iPlayer for the next 5 days. The second part will be broadcast on Saturday at 11.30pm. Woman with Birthmark is the fourth in the Van Veeteren series by Hakan Nesser. The reviews are back though expect another hiatus when I'm at CrimeFest (where the International Dagger Shortlist will be announced). and Lizzie Hayes reviews Zoe Sharp's Fifth Victim, where "bodyguard" Charlie Fox goes to Long Island. 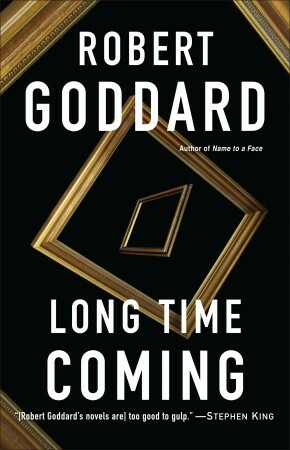 This week's selection for "cover opinions" is the US and UK covers for Robert Goddard's Long Time Coming. Long Time Coming has just won the Best Paperback Orginal Edgar Award. Would that fact influence you to try it irrespective of these covers? What are your thoughts on the US (LHS), UK (RHS) and UK (paperback) (below) covers? 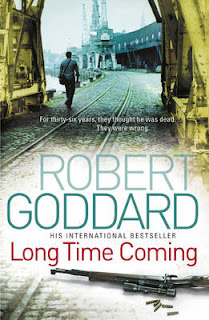 Which would entice you most to pick the book up if you were not familiar with the books of Robert Goddard? 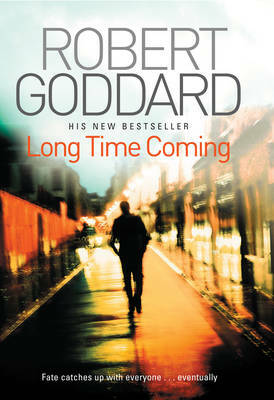 Read the Euro Crime review by Geoff Jones of Long Time Coming. 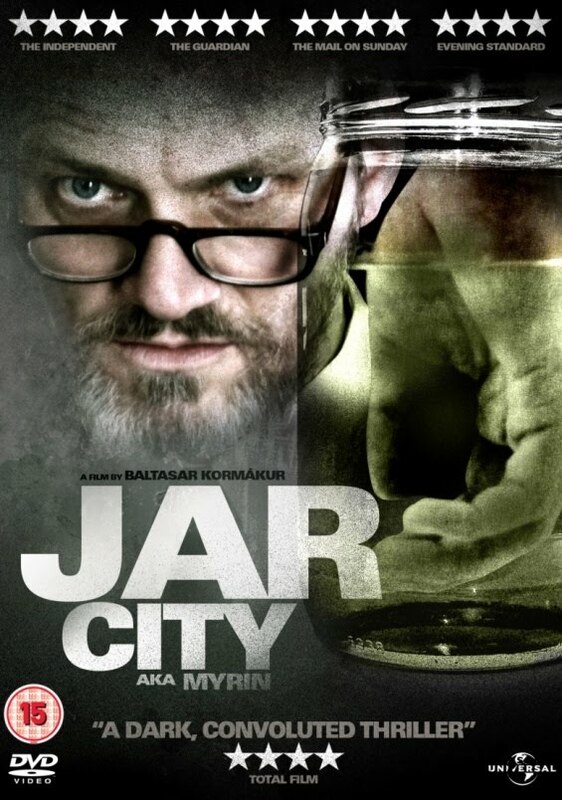 Much to the amusement of my work colleagues, I let a little squeak of delight out when I saw that BBC4 is showing Jar City, the film based on Arnaldur Indridason's novel (aka Tainted Blood). It will be on Sunday at 10pm and is repeated next Wednesday. Icelandic thriller. 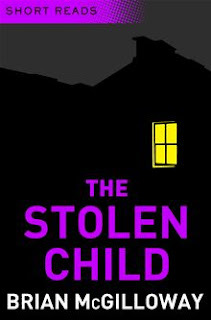 Investigating the murder of an old man, Police Detective Erlendur find clues linking it to the mysterious death of a child in 1974 but struggles to find the link. Meanwhile, Orn, a man distraught at the death of his young daughter, uses the national genetics database to find out why she died. 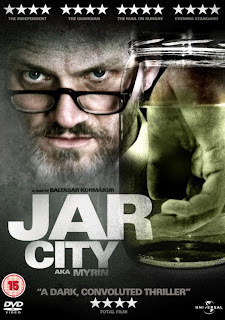 Next week, is Iceland week on BBC4 and as well as Jar City it is also showing The Night Shift, an Icelandic comedy and also Julia Bradbury's Iceland Walk. 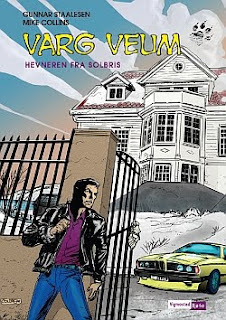 There is also a repeat of the Time Shift: Nordic Noir programme. 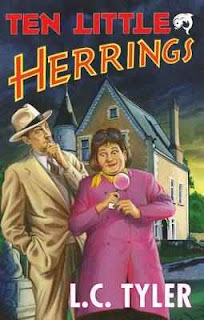 snippets include the fact that she's recently submitted her eighth book in the Erica & Patrik Fjallbacka series and that due to increasing demands on promoting and writing other books (including two cook-books and a children's book) she'll be dropping the pace to one crime book every other year. Patrik was based on her husband at the time and she made Erika very different to herself. She also gives an explanation as to the appeal of her novels around the world. Listen to the podcast on the website or download it via iTunes (Authors on Tour - Live!). The Ice Princess has recently been released in paperback in the US and The Preacher was published last week in hardback in the US. In the UK we are up to the fourth book, The Gallows Bird. The fifth and sixth (The Hidden Child and The Mermaid) should be out in the next twelve months. The first four books have been translated by Steven T Murray but the later ones will be translated by his wife Tiina Nunnally. 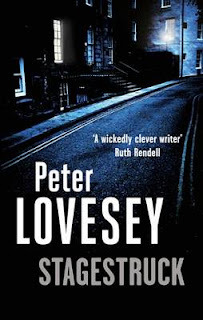 Steven has translated Stieg Larsson and Henning Mankell and Tiina translated Smilla's Sense of Snow/Miss Smilla's Feeling for Snow by Peter Hoeg which was one of the instrumental titles in getting translated crime fiction to a wider audience. Tiina's work will also be familiar to readers of Karin Fossum (translating as Felicity David) and most recently Mercy by Jussi Adler-Olsen. The Edgar Award winners have been announced and British crime writers have won the best paperback original category, the Mary Higgins Clark Award and the best Television Episode Teleplay category.